Ms. Julie Golightly, RN, is responsible for implementation and supervision of administrative policies and directorially supervising the provision of all clinical services as the Administrator and Director of Patient Care Services for Pediatric Home Healthcare, LLC. Ms. Golightly ensures quality of patient care in the home, overall administration of the clinical departments and monitoring of appropriate staffing and productivity. She coordinates care with the interdisciplinary team, patient/family and referring agencies. Ms. Golightly sits on the Advisory Committee. Prior to starting employment with Pediatric Home Healthcare in October of 2010, Ms. Golightly worked in the Neonatal Intensive Care Unit as a staff nurse, charge nurse and functioned as a part of the delivery team, attending everything from extremely high risk deliveries to normal new-born births. She remained in the NICU for 5 years when, with the discharge of one of her patients, she was introduced to the world of Pediatric Home Healthcare. 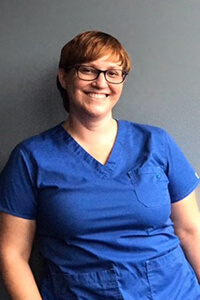 Ms. Golightly began to work in the pediatric home health industry in August of 2006 as a staff nurse, and then began working as a PRN Associate Director for an agency that provides pediatric private duty nursing, in 2009. Ms. Golightly holds a Bachelor of Science in Nursing from Texas Woman’s University.